Operating in the rapidly-changing healthcare industry can be difficult for a business of any size. The heavy regulation and reporting requirements have significantly increased the administrative work required to remain compliant. At Payentry, we have focused on how we can help businesses operating in the healthcare marketplace by developing comprehensive reports, tools and processes to minimize time and errors associated with government reporting requirements. Reporting is done by facility – entities with more than one facility operating under the same FEIN will still have more than one filing. Data is used to report on the level of staff in each nursing home and employee turnover and tenure (which can impact the quality of care delivered). When reporting information about direct care staff, the facility must specify whether the individual is an employee of the facility, or is engaged by the facility under contract or through an agency. The facility must submit direct care staffing information in the uniform format specified by CMS. The facility must submit direct care staffing information on the schedule specified by CMS, but no less frequently than quarterly. All staff must be entered into the system by assigning each staff member an Employee ID. Names and any personally identifiable information will not be stored. ID’s must be unique and not duplicated with any other staff current or previous. ID should not contain any personally identifiable information such as social security number. The day and date associated with the number of hours paid to work. When reporting hours per day, hours reported shall be by the calendar day. Midnight is the cutoff for each day reported. Facilities must submit the number of hours each staff member is paid to deliver services for each day worked. Do not count hours paid for any type of leave or non-work related absence from the facility or for any unpaid time worked. (ex: salaried employee works 10 hours but is only paid for 8, only report 8.) Meal times, paid or unpaid, shall not be reported for all staff. Facilities must deduct the time allotted for meals from each employee’s daily hours. Labor classification/job title: reporting shall be based on the employee’s primary role and their official categorical title. What are the information reporting requirements? 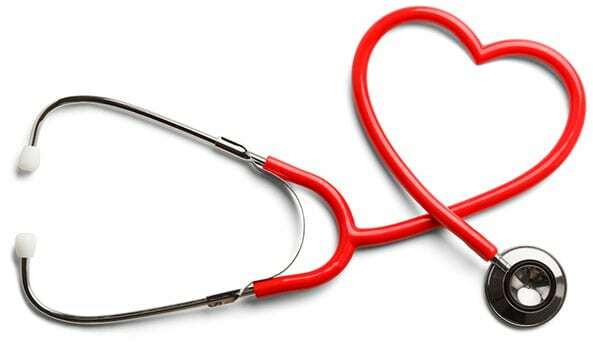 Certain employers are required to offer qualifying health coverage for their full time employees (and their dependents) or potentially be liable for an assessable payment. These employers are required to file information returns with the IRS about whether they offered health coverage to their full time employees and, if so, information about the offer of coverage. The employer must also provide a copy of the information to the employee. Employers subject to the employer shared responsibility provisions, called applicable large employers or ALEs, are required to report. An ALE is an employer that employed an average of at least 50 full-time employees on business days during the preceding calendar year. An ALE may be a single employer or may consist of a group of related employers (such as parent and subsidiary entities or other related/affiliated entities), called an Aggregated ALE Group. For more on how to determine if you are an ALE, please visit the IRS website. When must an ALE Member file the required information return with the IRS? An ALE Member must generally file Form 1094-C and Form 1095-C on or before February 28 (March 31 if filed electronically) of the year immediately following the calendar year for which the offer of coverage information is reported. Reduce amount of manual data entry required. Ability to preview forms so you can review for accuracy & find errors before filing. Generate and file Form 1094-C. When your form is produced it will be available via Secureview for you to download at your convenience. Generate Forms 1095-C for employees. Employees who elect to receive online tax forms will be able to access their 1095-C through their My.Payentry account, anytime they need it. 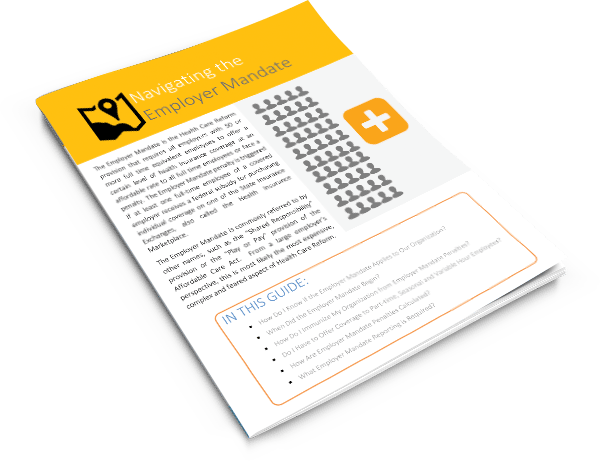 Become an expert on all things ACA and employer mandate with our handy guide. Written by HR Pros, this guide will walk you through the legalities and obligations you face in language that is easy to understand. During a time when regulations are ever-changing and the need for access to important data is at an all time high, you can trust Payentry to quickly react to legislation changes and provide your business with the tools necessary to comply with employer requirements. Our software provides access to the most up to date forms released by governmental agencies and our HR solution notifies administrators about law changes at the federal and state levels. We also provide access to customizable templates for employee handbooks, guides, policies and checklists which improves the quality of your employment package while lessening the administrative burden related to regulatory changes. 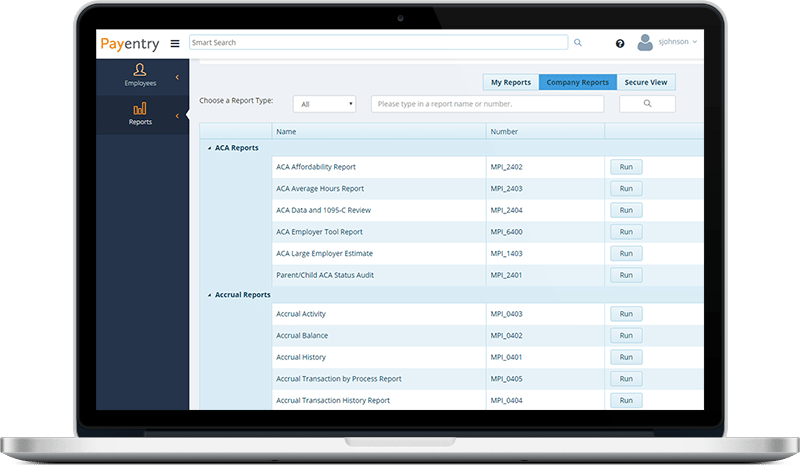 Our solution makes it easy to comply with payroll based journal, affordable care act and payroll tax reporting requirements.